Shadow The Hedgehog PAL for Sony Playstation 2/PS2 from Sega (SLES 53542) 26 days, 00h:48m:50s £2.25 Buy now! Gamester Multi-Tap for Sony Playstation 2/PS2 26 days, 13h:02m:11s £4.50 Buy now! 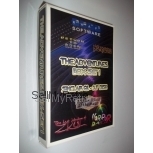 The Terminator: Dawn Of Fate PAL for Sony Playstation 2/PS2 from Atari (SLES 50922) 26 days, 17h:26m:45s £2.10 Buy now! Joytech Playstation 1/PS1 Lightgun for Sony Playstation 1/PS1/PSX 26 days, 17h:31m:45s £14.50 Buy now! Singstar Party PAL for Sony Playstation 2/PS2 from Sony (SCES 52826) 26 days, 20h:54m:17s £1.05 Buy now! Eyetoy Camera Accessory for Sony Playstation 2/PS2 from Sony 27 days, 02h:51m:47s £1.25 Buy now! ESPN International Track & Field PAL for Sony Playstation 2/PS2 from Konami (SLES 50036) 27 days, 17h:25m:46s £2.25 Buy now! TT Superbikes PAL for Sony Playstation 2/PS2 from Jester Interactive (SLES 51980) 28 days, 18h:06m:14s £3.15 Buy now! True Crime: Streets Of LA for Sony Playstation 2/PS2 from Activision (SLES 51753) 28 days, 21h:32m:19s £2.25 Buy now! 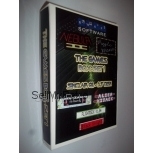 London Racer II PAL for Sony Playstation 2/PS2 from Davilex (SLES 50955) 29 days, 14h:30m:02s £1.25 Buy now!